In this first episode back after being in the United Arab Emirates, India and Nepal for nearly a month, I tell you about the trip but through the lens of technology. Internet access limitations, planning tools, fun apps I used along the way, something for everyone. Check out Touchnote for Postcards for a fun way to send personalized cards on travel. In Chit Chat Across the Pond Bart takes us through Taming the Terminal Part 30 of n, SSHing more secure. 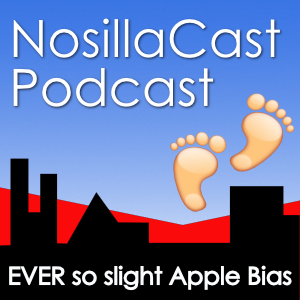 Hi this is Allison Sheridan of the NosillaCast Mac Podcast, hosted at Podfeet.com, a technology geek podcast with an EVER so slight Macintosh bias. Today is Monday March 30, 2015 and this is show number 516. Well it’s GREAT to be back! I am exhausted and a bit jet lagged but so happy to be home. We had a fantastic trip and it was such a treat to have THREE NosillaCasts to listen to from the guys. I know I thanked them in advance, but I think Bart, Guy, Gaz and Allister did such a great job. I can listen to Bart any day of the week (that’s why I listen to ALL of his podcasts), and it was a treat to get to hear Bren talking about how he uses his iPad for his music work. Even though I don’t do any music stuff myself any more, it was still cool to hear about his progress away from paper. It was especially fun because we got to hang out with Bren when we were in Ireland with Bart a few years ago. In spite of what Guy said on the show, I really enjoyed it. I would like to debate Gaz’s perspective on the Apple watch, and that’s what makes that kind of discussion fun. I have to admit that I did have that, “what was I thinking?” moment after asking Guy to host the show, but with Gaz as adult supervision…wait, was that even scarier? And closing it out with Allister was perfect. As I’ve said many times, Allister could read me the phone book with that voice and I’d be happy! I learned a lot from Mike and Elaine too, really made me think a lot about good and bad training I’ve had over the years. I was most fascinated when she talked about training the clothing designers on Correl Draw’s vector program and then finding out they really needed photoshop training and just flipping over to that. Really shows her depth of knowledge and talent to be able to change a course on the fly like that. I hope you enjoyed the shows as much as I did. Thank you thank you thank you boys! I have to admit something. Before I left, I was able to come up with three NEW examples of how I use Clarify to send to the boys for inclusion as ads in the show, but in the last four weeks, I didn’t do a single tutorial for ANYONE! Maybe it was the lack of Internet, maybe it was how much I was eating and drinking and watching rhinos and tigers. Maybe it was how relaxed and pampered I was, but I didn’t do anything to help anyone else with their computers or iOS devices. I think it’s the first time I’ve gone that long without using Clarify! I am certain that if it weren’t for Clarify, I wouldn’t do nearly as much to help others. I love it when I hear from you how you’ve used Clarify to take screenshots, annotate them and posted your tutorials to clarify-it.com so you only have to answer a question once. Keep those stories going, and if you don’t know what we’re talking about, go to Clarify-it.com yourself and give Clarify a free trial. Mac or Windows or both if you’re a slider who likes to help others. And be sure to tell them Allison sent you! Four news stories highlighted a range of problems with the Public Key Infrastructure (PKI) that we rely on for so much of our online security – the PKI gives us HTTPS to secure our browsing, as well as TLS to secure a variety of other internet-connecter services including email. Unfortunately in all these stories, there is very little end-users can do other than the vitally important task of keeping their software up to date. The bulk of the work to shore-up the rickety PKI has to fall on the IT industry broadly. The second to stories revolve around procedures around issuing certificates. The two failures are very different, but the end result was the same, fraudulent certificates issued for major websites. The first certificate whoopsie came courtesy of Microsoft. From reading their statements you’d think the certificate authorities had messed up, but that’s not true, it was Microsoft themselves who messed up. Both of these sets of fraudulent certs were revoked through browser updates, hence the importance of keeping your browser up to date. However, the real take-away for the industry is that they really need to figure out certificate revocation once and for all. At the moment, the system is a mess, and not at all effective. That needs fixing ASAP. Before starting into Taming the Terminal Part 30 of N, I just want to acknowledge a great tip sent in by a listener/reader, twitter user @adrianluff.